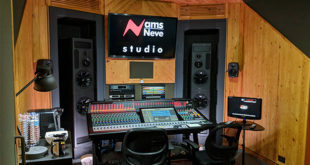 Students from the Conservatory of Recording Arts & Sciences (CRAS) were recently afforded the chance to practice mixing live audio and video feeds from NBC SPORTS in the school’s 42-ft. remote-production mobile broadcast trailer utilising the recently installed Dolby Atmos mixing workflow during the Can-Am 500 NASCAR Monster Energy Cup Series race at Phoenix International Raceway (PIR) from Nov. 10-12. Robert Brock, director of Digital Department, CRAS, who was on-site training the students during the NASCAR event in Phoenix, stated: “While we were out at PIR, we also deployed a Sennheiser AMBEO® microphone at the start/finish line. 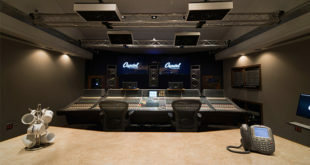 It was specifically used to feed the Dolby Atmos® overhead speaker positions. It really brought the audio alive. 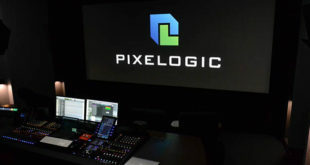 Our students were amazed at the sonic quality both the Dolby Atmos and AMBEO mic brought to the production." 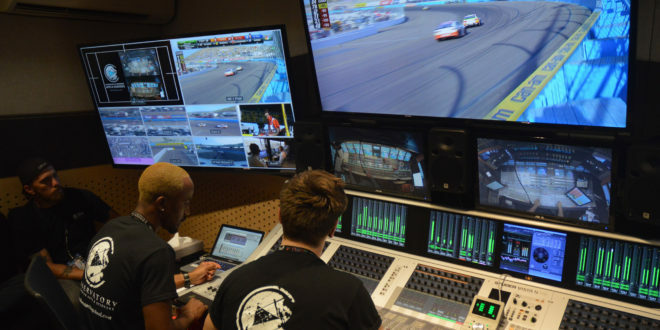 Three CRAS teams, each comprised of 10-12 broadcast engineering students apiece, trained during the three days NBC SPORTS broadcasted the Can-Am 500.